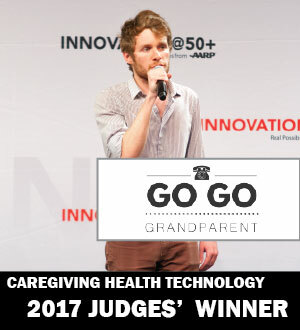 Caregiving health technology Judges’ Choice GoGoGrandparent, of Mountain View, CA, helps older adults access and use on-demand transportation and offers extra tools for caregivers. 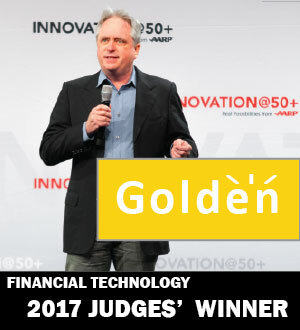 Financial technology Judges’ Choice Golden, of San Francisco, CA, is an easy-to-use and secure financial assistant that helps assure the health and financial security of loved ones as they get older. 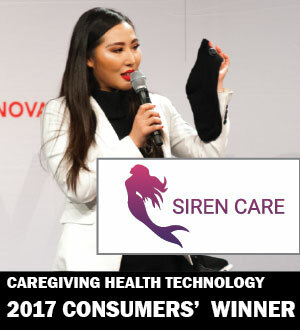 Caregiving health technology Consumers’ Choice Siren Care, of San Francisco, CA, is a smart sock with sensors embedded inside the fabric that tracks temperature and can find injury in real time, improving the lives of people living with diabetes. 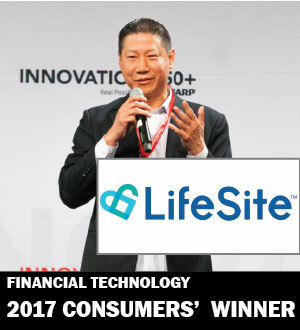 Financial technology Consumers’ Choice LifeSite, of Mountain View, CA, helps people to manage life’s most important documents/information (such as legal, medical, insurance, wills, trusts, passwords, etc). in a secure digital vault accessible through web browser or mobile device (and soon Amazon Echo), where it is easy to share and collaborate with family members, and trusted advisors. In both afternoons, ten finalist companies in each category presented their business focus on stage in three-minute pitches to a panel of judges that includes venture capitalists and angel investors. AARP members/consumers at the event shared real-time feedback about the businesses. Additional information, including 2017 advisors, partners, judges and coaches, as well as programming content and speakers and all 20 finalists, is available at http://www.innovation50plus.org.